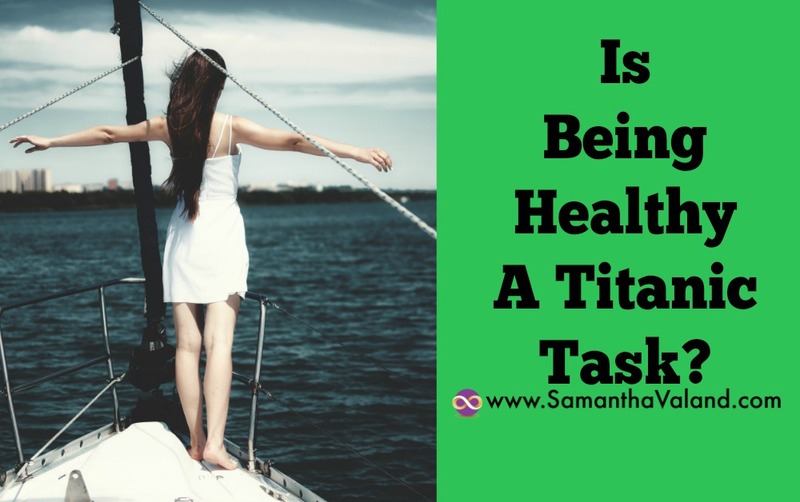 Is Being Healthy A Titanic Task? I had a lovely weekend in Belfast with the highlight being the Titanic Museum. Titanic was built in Belfast so the focus was more on ship building rather than sinking! It’s going to sound a bit silly but I didn’t realise how big the ship was until I saw the Dry Dock which was used for maintenance and painting. Titanic is such a small word for such a big ship! It occurred to me the decision to start being healthy can also seem like a Titanic task. We all know there is a lot involved but when you sit down to plan you realise just how time consuming it can all be and a little overwhelming. Food shopping takes longer as you are analysing if your purchase is healthy or not – often leading to paralysis of analysis! Finding an ideal time to exercise: before work, lunchtime or after work. On top of all those extra tasks trying find the time to relax and sleep more! Titanic wasn’t built in a day, and neither will your healthier lifestyle. There was a lot of planning involved, experts were called in. One man did not build it on his own! This is one of the main reasons I find women stop ‘trying’ to be healthy because they have created a massive to do list for themselves. And being the instant nation that we are we all want instant results yesterday. When I coach women I start off with snowball goals. By that I mean small goals which gather momentum and get bigger. So what simple thing can you do today and everyday regardless of how much time, money and energy you have? We all have different lifestyles, priorities and resources available to us, so use what’s easily available to you. Walk everyday – weather permitting – I live in Edinburgh and it’s a walking city, compact and easy to move around. We occasionally get a wee bit of rain though! I’m happy to walk home in the rain but not to get soaked on the way to teach a Pilates Class! So need a Plan B now and then. Fruit and Vegetables during the day. I find it easy to get 2 portions in for dinner, but a bit challenging during the day. So it’s top of mind that I have fruit for snacks during the day. If I have an ‘admin’ day at home I get up frequently from my desk and find a chore to do around the house so I not stuck sitting for hours! Previous snowball goals have moved off my list because they have become automatic or something has changed. Getting into bed early and reading was there once but I now do that as a matter of course so doesn’t need to be on my list? The goals always evolve and change. The big difference is I can still make progress to a healthier lifestyle without having an overwhelming to do list. It is easy to adapt if your circumstances change or your energy levels change. What are your snowball goals? Let me know if this approach works well for you!